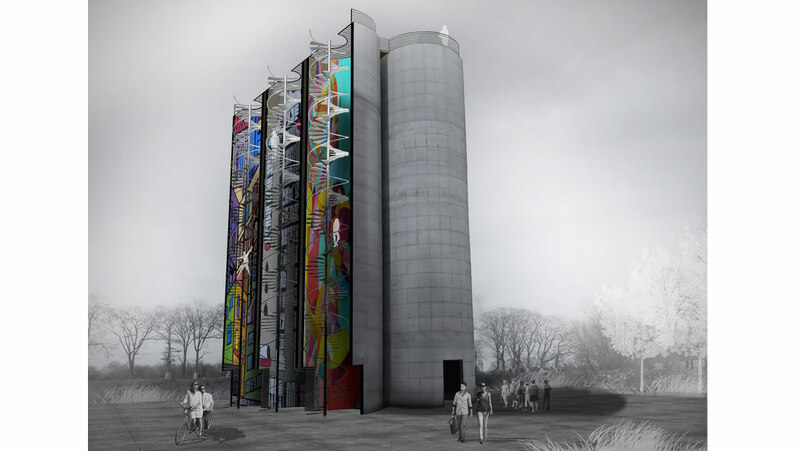 Vertical museum allows you to change the way-one perceives art. 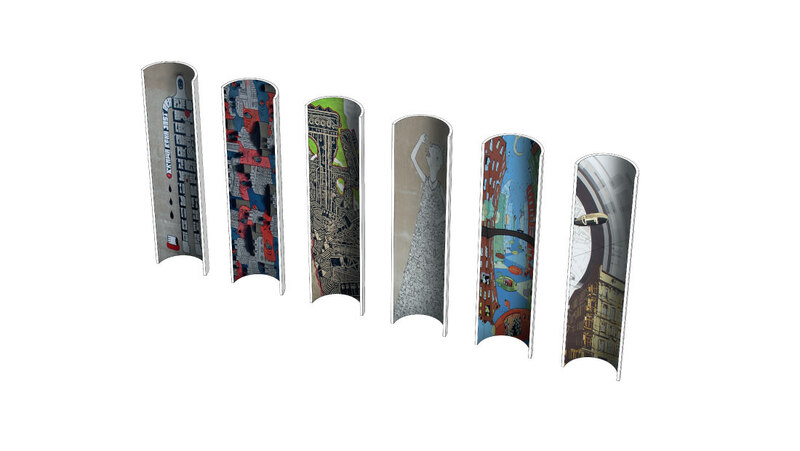 It is dedicated to vertical objects such as chimneys, silos and other high and narrow features. The idea is to watch art vertically. Project tackles the problem of abandoned buildings that are increasingly seen in Polish cities, such as abandoned old industrial buildings. The inner walls of these structures provide background for the presentation of art while Interior elevators or stairs allow you to admire the work. 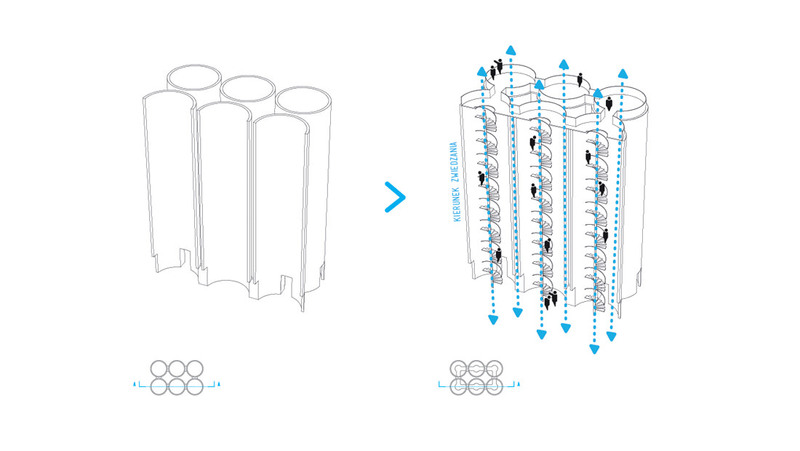 Our project involves the use of free-standing, abandoned industrial silos. Vertical museum is a gallery of street art. Place publicly available and open for everybody, every day and night. We want it to work without any admission tickets or opening hours. We want to raise the value of these Interior using their character, with the minimum interference with the existing structure. The choosen building is a set of 6 concrete tubs with a diameter of about 6m and height of 26m. 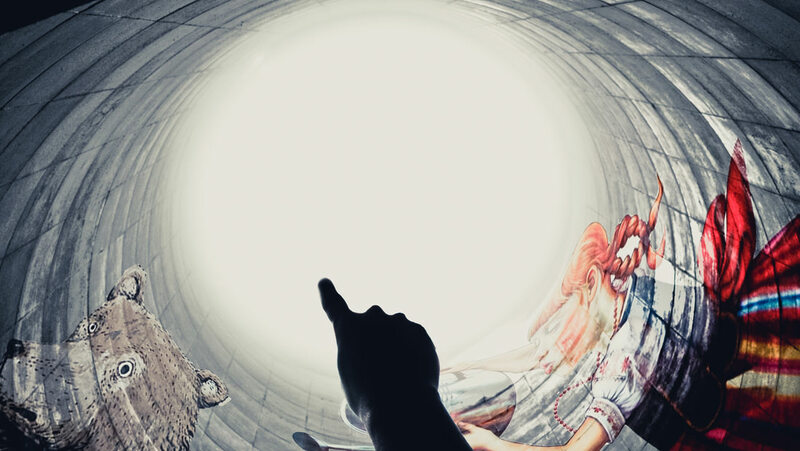 The project involves inviting 6 street artists, who would get to paint inside each of the tubes. The tour would lead by spiral staircase up to the roof of silos. At the top od each staircase, you can move into the next one and wander up and down to see the whole exhibition.